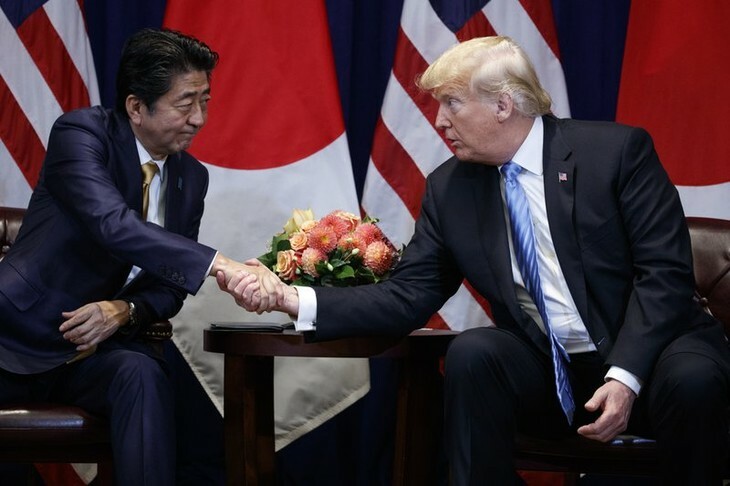 (VOVWORLD) - The United States and Japan will open negotiations on a bilateral trade agreement between the world’s first- and third-largest economies. US President Donald Trump made the announcement on Wednesday after meeting with Japanese Prime Minister Shinzo Abe in New York on the sidelines of the UN General Assembly on Wednesday. A joint statement said Trump reiterated the importance of a mutual trade ties and is pushing to narrow the US trade imbalance with Japan and other countries. Abe highlighted trade liberalism based on equality and rules. The two leaders pledged to enhance trade and investment activities for mutual benefit, and promote a free, fair, and open global economy.